The transparent reality is that for every £100 raised through a crowdfunding charity you will receive around £94.70 dependent upon debit or credit card charges. No gift aid. No extra funding from the taxman. If your child’s campaign is with Tree of Hope the reality is completely different. After gift aid is added and fees deducted your campaign will receive around £109.10 for every £100 donated. Yes, that’s right, over £14 more to your campaign for every £100 donated. With fundraising campaigns taking up valuable family time and effort every little helps- so if you’re looking to get to St Louis for an SDR operation and want to raise £80,000 you could be having to raise an additional £11,200. And that’s a lot more effort and campaigning. And what about donors? With Tree of Hope, we ensure that donors are completely assured that their donations will be put to use for the purposes they were originally donated for. Our work is audited and regulated by the Charity Commission. This leaves the onus on the donor to check with the page owner- and how can you tell if that child is really sick or even exists? 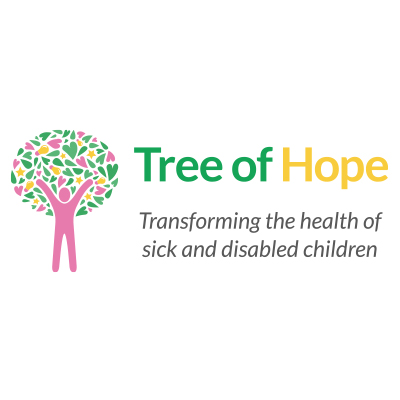 At Tree of Hope, we have contact with families and medical professionals verify the identity of the child and their illness so you can be sure that the cause is legitimate. Of course, many crowd-funding charities know the campaign family personally and know that it’s legitimate but when a campaign goes viral and you don’t know the cause at all or not so well, how can you be sure? Tree of Hope helps you to add more funds to your campaign and provides donor reassurance too. All money is held by Tree of Hope and distributed upon receipt of invoices for services and treatments received- another thing you have to do yourself if you crowdfund. Our negotiated discounts with many of our suppliers also make sure that your funds work harder for you and go further. And remember one last thing, whilst the Financial Conduct Authority regulates some crowdfunding it does not regulate crowdfunding for donations to a cause. It is completely unregulated so not reassuring for donors. Call Georgie or any of the team at Tree of Hope on 01892 535525 to discuss these issues in more detail.